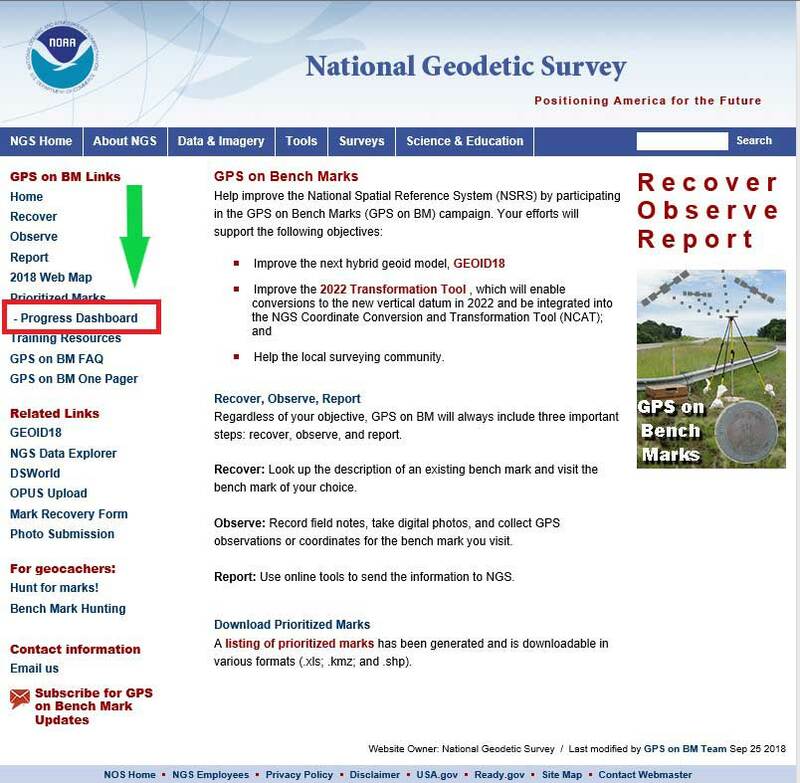 The number of GPS on Bench Mark (BM) stations highlighted as complete on the National Geodetic Survey (NGS) GPS tracking page as of Sept. 25 represents 43 percent of the total number of stations that need to be observed (2451 of 5862 Priority Marks Completed). These new GPS on BMs observations will be helpful in identifying invalid GPS on BM stations that may have been used in the next hybrid geoid model. Now that the 2018 GPS on BM program has officially ended for data included in the hybrid model GEOID18, NGS’ GPS on Bench Mark Program will soon be expanded to include other regions and will focus on data to improve NGS datum transformation tools. NGS has aided users that are submitting data using OPUS through their GPS on BM website service. Previous columns have highlighted the website. 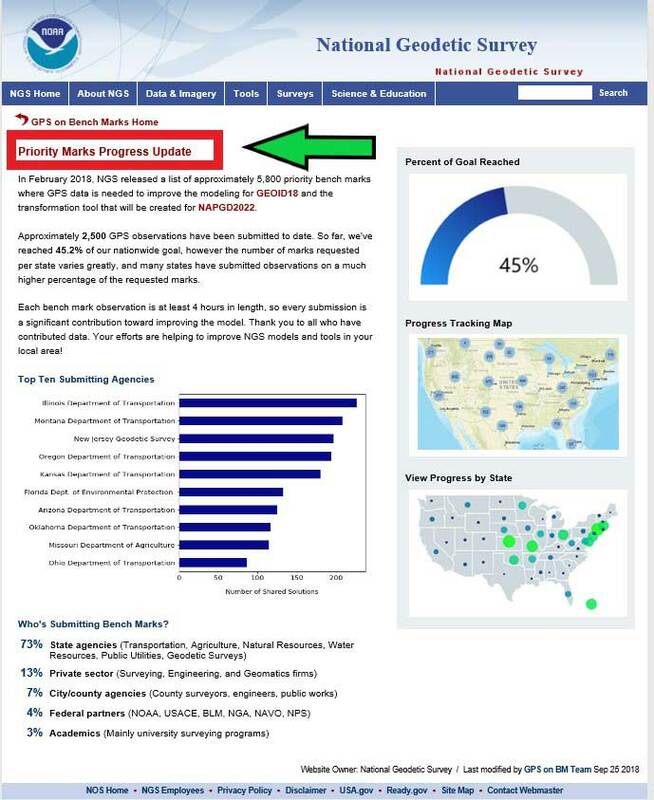 This column will highlight a new feature on the NGS GPS on BMs webpage that displays the progress of priority marks and its associated statistics. This webpage can be accessed through a link on the GPS on BMs Program main webpage — (see highlighted section in box tilted “GPS on BM Project Webpage”). 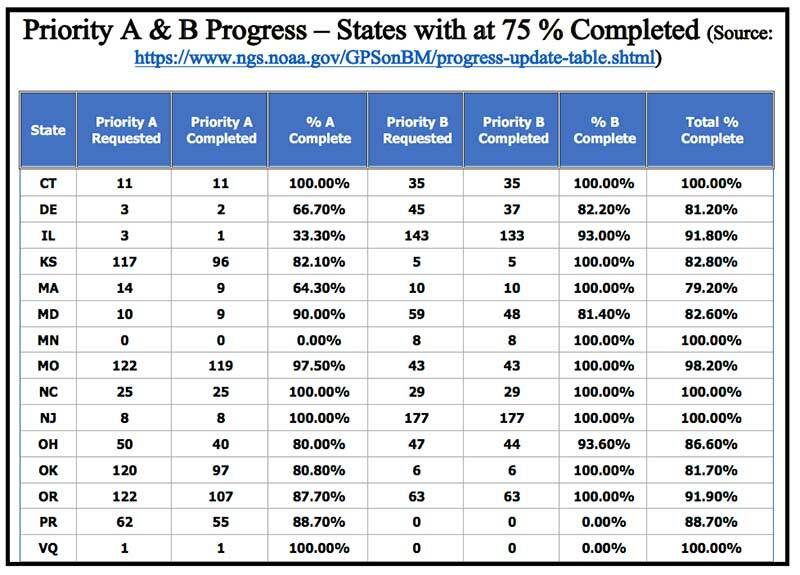 The new webpage provides statistics by state as well as which agencies are submitting the most GPS on BMs data (see the box titled “NGS Webpage of Priority Marks Progress Update”). The right side of the webpage provides the percent of the goal reached, a link to the progress tracking map, and a link to progress by state (see box below). The first thing to notice that it provides a current percent of goal reached to date. In this example, the GPS on BM program is at 45 percent complete. 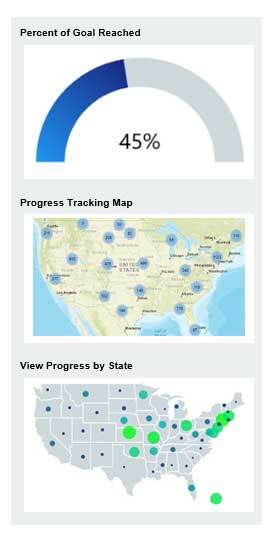 Clicking on the “Progress Tracking Map” picture will bring up the latest map update (see box below). As depicted in the box, as of Sept.25, 2,451 of 5,862 priority marks have been completed. The “Progress Tracking Map” provides information based on the last time the map was updated, and the “Percent of Goal Reached” is based on the most current OPUS Shared solutions submitted. NGS is working toward generating the map and solutions in near real time. The following states have officially completed 100 percent of their priority A and B stations: Connecticut, Minnesota, North Carolina, New Jersey and U.S. Virgin Islands. 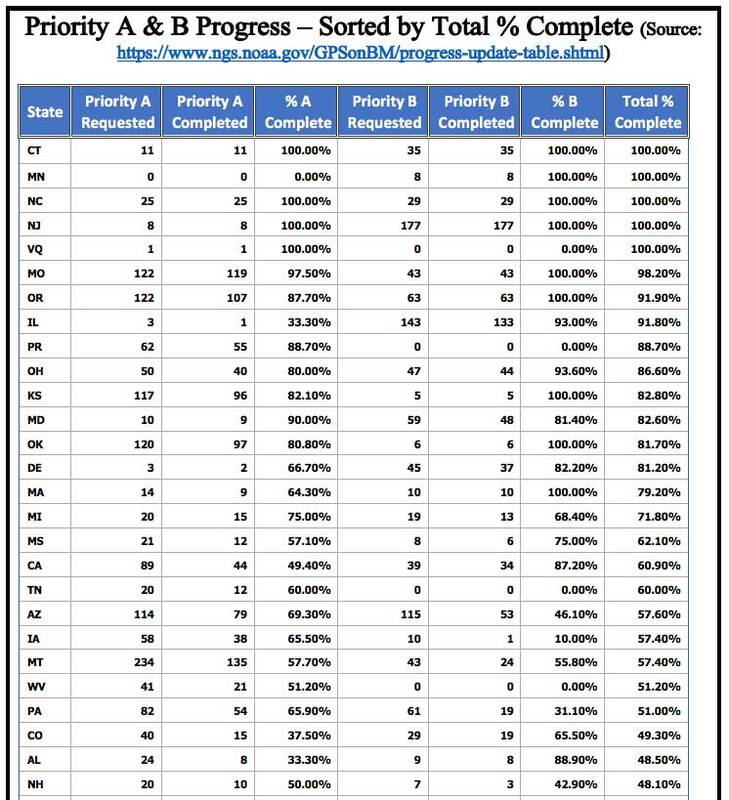 Congratulations to these states (see the box titled “Priority A & B Progress – states with 100 percent complete”). It should also be noted that there are 15 states that have completed at least 75 percent of their priority A and B stations (see box below). This is a tremendous amount of work, and everyone should be commended for participating in the GPS on BM program. For completeness, the box below provides a list of the States sorted by percent complete. The left side of the webpage provides information on the top submitting agencies. 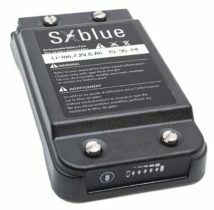 As indicated in the box below, the Illinois Department of Transportation (DOT) and Montana DOT are the two top leaders in submitting GPS on BMs data. 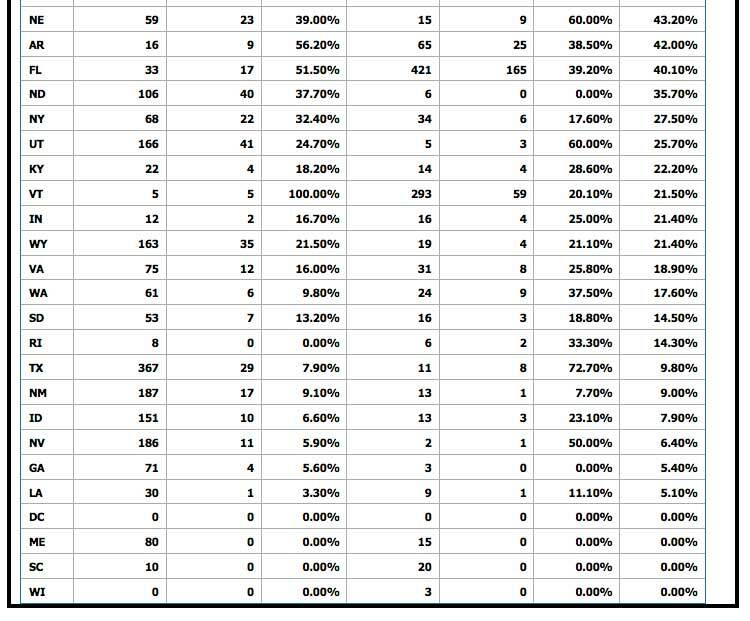 They have submitted well over 200 OPUS Shared solutions. The New Jersey and Oregon DOTs are close behind, providing about 200 OPUS Shared solutions. 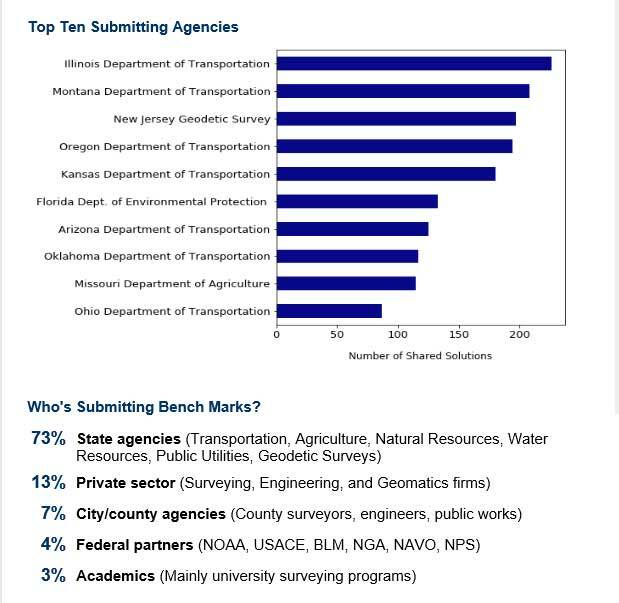 It’s not surprising to see that state agencies have provided the most submissions to the GPS on BM project (73 percent). It’s very encouraging to see that the private sector has provided 13 percent. Having an accurate and reliable hybrid geoid model will assist surveyors in performing their jobs as well as improve their efficiency in performing geodetic surveys requiring heights. This column provided an update and status report on stations observed in support of the 2018 GPS on BMs program, and highlighting a new NGS GPS on BMs webpage that displays the progress of priority marks and its associated statistics. 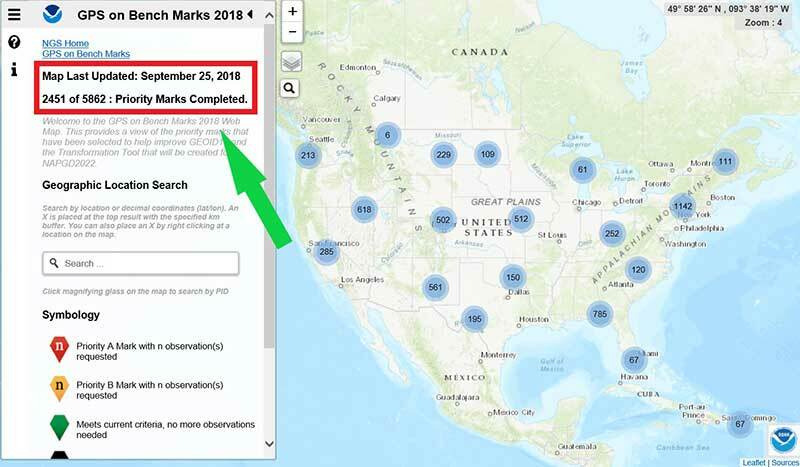 The number of GPS on Bench Mark stations completed as of Oct. 1 represents 45 percent of the total number of stations that need to be observed. As I have explained in previous columns, there were many stations with invalid heights that could be used in the next hybrid geoid model unless more bench marks with valid NAVD 88 heights were observed with GNSS. Many stations with potential invalid published orthometric heights have been identified by the GPS on BM program. This information will be very useful to the surveying and mapping community as well as to NGS. NGS’ official date for accepted data for inclusion in the next hybrid geoid model, GEOID18, was Sept. 21. However, any OPUS Shared observations submitted before the final version of GEOID18 has a possibility of being included in the model. Even if it’s not included in the hybrid model, it will be very useful for evaluating the reliability of the model. After the hybrid geoid model, GEOID18, is published, NGS’ GPS on Bench Mark Program will expand to include other regions and will focus on data to improve NGS datum transformation tools. I encourage everyone to continue supporting the GPS on BMs program — not only for improving the development of the 2022 transformation tool, but to assist in identifying bench marks in your local area that have invalid published orthometric heights due to movement. Once NGS publishes the next hybrid geoid model, GEOID18, OPUS results will probably provide an estimate of the NAVD 88 orthometric height computed using GEOID18 similar to what it does now using GEOID12B. In my opinion, the results of GEOID18 will be better than GEOID12B in most areas of the United States and should be helpful in identifying stations that have moved since they were last leveled. Submitting your results to OPUS Shared will provide a way for others to analyze the results to determine whether a station has an issue that requires attention.